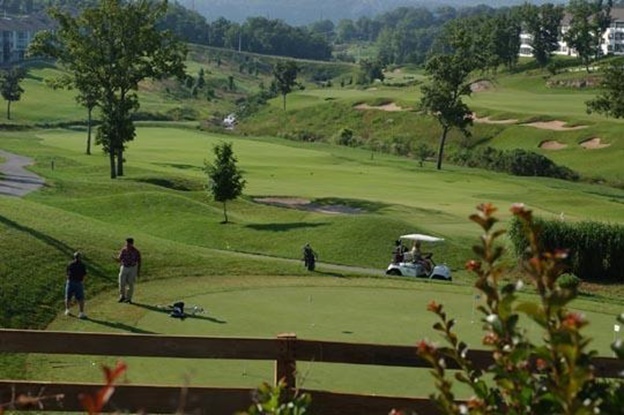 Whether you want to play a few rounds of golf and stay a few nights in a comfortable accommodation or own a Branson real estate, Thousand Hills Golf Resort has got you covered. Thousand Hills lodging properties include log cabins and rental condos ranging from romantic suites for couples to five-bedroom town homes perfect for large group of guests. All lodging units at the resort provide quality amenities with ultimate comfort, quality and convenience as the goal. Indoor and outdoor swimming pools and a fully-equipped fitness center are some of the great features of the resort that can make your stay the best in Branson. With the additions of spacious banquet and meeting rooms, the resort has become the first choice for family and corporate events in Branson. As Branson is now becoming the leading vacation destination in the Midwest, travelers no longer have to head to the east coast or west coast to find a variety of culture, attractions, and entertainment shows. In Branson, you will find countless attractions that range from theaters, theme parks, family entertainment, elaborate multimedia and music shows, and an endless and expanding array of shopping places and fine restaurants. The great location of the resort in a secluded area offers guests an advantage that few other Branson resorts can match. Many of the accommodations at the resort, whether it is a cabin, a condo or a townhouse, are a perfect getaway for golf lovers because they are beautifully located around the award-winning 18-hole golf course. This golf course in Branson was recently voted as the “Best of the Ozarks” by the readers of the Springfield News Leader. Golf enthusiasts staying at Thousand Hills accommodations are sure to enjoy its GPS equipped golf carts and the largest pro shop in Branson offering golf equipments, shoes, shirts, gifts and souvenirs. If you visit the golf section at the resort, you will know why Thousand Hills’ 18-hole golf course is considered as one of the most popular golf courses in Branson. The cozy accommodations at Thousand Hills Golf Resort will surpass your expectations with luxury and comfort, space and top quality amenities from the moment you arrive. The resort offers a variety of options, from Jacuzzi condo suites to log cabins and to a much larger five bedroom townhomes. As the resort is beautifully located in the heart of Branson, many of the accommodation units are just a few feet away from the only golf course in the Branson city limits. The resort makes sure that all guests have ample parking spaces at all of its accommodations where they are away from the crowded city streets. When staying at any of the lodging properties at Thousand Hills Golf Resort, you will find it easy to forget any worries in a comfortable, relaxing atmosphere, and calm environment. So, if you are one of the golf enthusiasts looking for a perfect getaway in the Ozarks, stay in a cozy accommodation at Thousand Hills Golf Resort where you can enjoy with the best golf course in Branson.